In the mid-1980s, when Bryson City abandoned its Lands Creek reservoir and turned to Deep Creek for the town’s water supply, many questioned the future of the 750-acre Lands Creek tract. 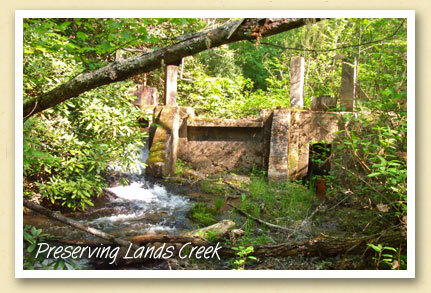 Bordering the Great Smoky Mountains National Park, the Lands Creek property was understandably attractive to private developers. In 2006, rather than opening up the land to development, Bryson City established a conservation easement that protects the land and makes it available for recreational activities like camping, hiking, fishing and hunting.